I love the KOLBE Assessment! One of the biggest questions we get here at Online business Manager.com is business owners reaching out to us asking “Who should I work with and can you give me a recommendation?” We have several routes in which they can connect with our Certified Online Business Managers – including our Directory and RFP – but they still prefer a personal referral. When asked for a referral we’ve historically looked first at “who is available?” Not anymore. I will tell you why in a moment but for now let me introduce you to the KOLBE Assessment (http://www.Kolbe.com) To be clear I am not trying to sell you anything (although the assessment costs money I do not get anything if you decide to take it – this is not a referral link). The folks at KOLBE don’t even know I am writing this blog post… what I know though is how powerful a tool KOLBE is when it comes to finding the right client match. Let me tell you a bit about why we no longer start with ‘whoever is available’ when asked for referrals. Every Online Business Manager is unique in their strengths, skills and experiences… every business needs specific strengths, skills and experiences. When looking to make a good match we need to consider strengths and work-style alongside skill and experience. After 6 years of training, certifying and working with online business managers we have pretty much heard and seen it all. From business owners who expect WAY too much to OBM’s who deliver WAY to little. Good or bad we tend to hear about it, which we LOVE as this allows us to continue to serve the community with a clear and exact understanding of the issues that can arise for the business as a whole. What we have learned is often the problem isn’t the business owner or the OBM – it’s the mismatch between their thinking and work styles. The KOLBE Assessment (Index A) allows us to see the natural instincts or distinctive method in which a person is going to think. I know there is an exact science behind all of this and I will not reveal my ignorance in trying to explain it, I encourage you to go check out their site and learn that for yourself. When it comes to matching and referring potential OBM’s to business owners we want to ensure that there is a common ground for them to work together. For example, if the Kolbe assessment proves that the business owner is an initiating quickstart (meaning they make most of their decision from their expectation of the future and all that they see or desire of it- and they want to move fast!) and we pair that person with an initiating fact finder (meaning they make most of their decision from what is proven from past experiences – and they like to be methodical and move slower) these two styles will very quickly experience conflict. They are naturally disconnected in their ability to both communicate and work together for a common vision. There are many factors that can bridge gaps between these two styles but what if the gap didn’t need to be that big nor the bridge that long, the relationship can move to a very successful place much easier. This is why we love the Koble Assessment as it allows you and your potential clients to start on a foundation of success vs. struggling through differences. 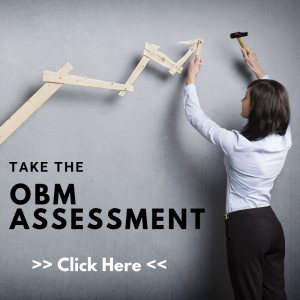 Through the assessment, we can take a look at the results and have a starting place to determine how the two thinking styles will work together… making it ohhh so much to assist OBM’s in finding ideal clients! And vice versa…. which in my book is a win for everyone. Let me tell you a bit about why we no longer start with ‘whoever is available’ when asked for referrals. 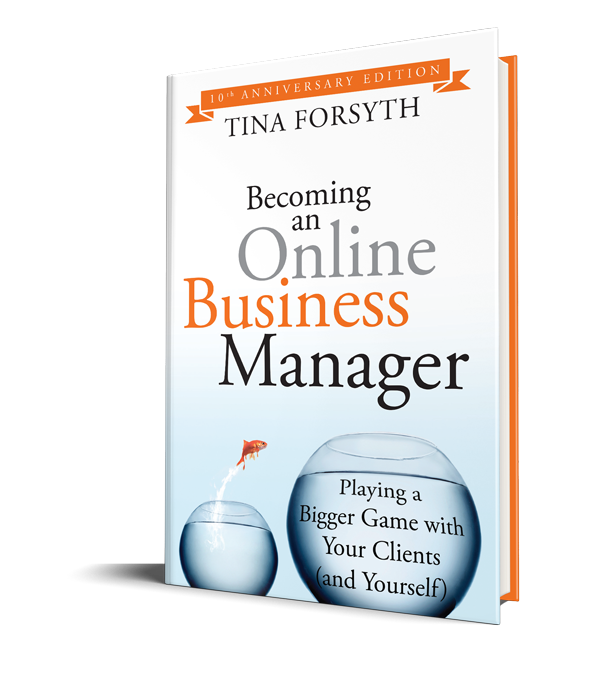 Every Online Business Manager is unique in their strengths, skills and experiences… every business needs specific strengths, skills and experiences. When looking to make a good match we need to consider strengths and work-style alongside skill and experience. After 6 years of training, certifying and working with online business managers we have pretty much heard and seen it all. From business owners who expect WAY too much to OBM’s who deliver WAY to little. Good or bad we tend hear about it, which we LOVE as this allows us to continue to serve the community with a clear and exact understanding of the issues that can arise for the business as a whole. There are many factors that can bridge gaps between these two styles but what if the gap didn’t need to be that big nor the bridge that long, the relationship can move to a very successful place much easier. This is why we love the Koble Assessment as it allows you and your potential clients to start on a foundation of success vs. struggling through differences. Through the assessment we can take a look at the results and have a starting place to determine how the two thinking styles will work together… making it ohhh so much to assist OBM’s in finding ideal clients! And vice versa…. which in my book is a win for everyone. Wonder what we use here in the OBM offices? Here is a list of more of my favorites – the ones that I truly could not live without – and why I love them so. * In the spirit of full disclosure there are affiliate links within this article, as indicated by a lovely little * beside the link. This tool is truly the hub of our business these days (it really should be #1 on the list) – it’s ecommerce, email marketing, automated follow-up and CRM all rolled into one. If you aren’t familiar yet with Infusionsoft you need to get this on your radar… and a warning, as awesome as it is, Infusionsoft is not very “user-friendly” to learn. Don’t try to figure it out yourself or you might go batty, get help from someone who is trained in the system. An oldie but a goodie (if you consider 7 years old, hehe) – I know there are loads of different ways to host and record audios these days but I still always come back to AudioAcrobat. I love that I can record any call, anywhere, anytime simply by dialing into the AA recording system by 3-way calling. And I ESPECIALLY love that AA hosts all the recordings and gives you lots of lovely options for sharing your recordings – cool play buttons, download links and the like. Easy to use, customizable and affordable. I know there are lots of great toll-free and virtual phone services out there, this is the one I’ve used for years now. We don’t get a lot of phone calls, but I do like giving people a toll-free number to use if they want to call. You can set up calls to be directed to whomever you like, and also get copies of voicemail messages sent to you via email (which I LOVE). Plus it’s inexpensive, I don’t think I’ve ever paid more than $15/month. This is a super dreamy tool if you have large files to host – like videos for example. I remember back in the day when I started in this biz, you used to have to pay ooodles of money to be able to host video. Amazon S3 does the trick and literally costs just dollars a month. We host all of our training videos here for all of our programs – also great to host audio files, PDF files and anything that you don’t want to put on your own servers. There you have it – my next top 5 favorites. And being that I’m such a tool geek please tell me – what are your favorite tools and why? What are you doing to plan for 2011? We get started on December 13th – just click the button below to join us and you are set! Wonder what we use here in the OBM offices? Here is a list of my favorites – the ones that I truly could not live without – and why I love them so. The day I started using TimeTrade to help schedule appointments was one of the best days of my business life. Instead of having to do that annoying “back and forth dance via email” to find a time to schedule meetings, I connect TimeTrade to my calendar and send folks a link with open times. They simply pick a time that works for them and voila! You are set… it’s dreamy, you must sign up for this, I insist. And at $29.95/year you can’t say no. Yes folks, there is a way for people to sign documents without having to fax or scan them in – woo hoo! We discovered this one just a few months back and were jumping up and down in glee. Instead of asking people to “fax back their agreements” for our courses and programs we send them a copy online and they do a virtual signature – it’s all legit and is SOOO much easier all around. I don’t know about you but I struggled to find a good backup service for years – I would either forget to use the service (if it wasn’t automatic) or it would hang up my system each time it was doing a backup. Enter Dropbox, which does a seamless “sync” of your files to their online servers – not only is it a backup, it also becomes a way to access your files from anywhere you like. You can also share folders with other people on your team (vs. always trying to send stuff via email). Love love love this tool, I would sing it from the mountain tops. I will admit, I was a free bridgeline user for years. I had of course heard of Instant Teleseminar but was too cheap to fork out the $97/month… until I started using it and became hooked. I love how you can see who is online during the calls, you can mute/unmute individual folks easily and record calls with a click of the button. There is a webcast option that people love and even a way to share powerpoint presentations during a call. Plus it’s a paid service, so if you have trouble with your bridgeline you can call someone and say “help!” – which you can’t do with the freebie lines. Believe me, it is well worth the investment. Ah the world of project management systems – there is a plethora of choices out there and I feel like I’ve tried them all. I started using Central Desktop a couple of years ago and it remains one of my favs. We use it for project management (keeping track of who is doing what) and also for all of our company files & information (how to do stuff aka SOP guide). It’s a pretty comprehensive system all around and functions very much as a virtual office space – plus they are great at tweaking/improving the system based on user feedback. I give this one a thumbs up. You know what? I could keep on going as there are lots of other tools that I use and love so I’m going to do a Part 2… stay tuned for that. What are your favorite tools? Do tell. We are doing a free call on November 8th re: video… and what better way to invite you to attend than by video!